"Inside the Pocket God Phenomenon: Then, Now, & Soon"
Pocket God was created by the duo-team of programmer Dave Castelnuovo & designer Allan Dye. They have stated in interviews that they got inspiration for the game and its crazy characters from watching shows such as South Park. After the launch of Pocket God (which was not immediately a success), Allan & Dave chose a very smart marketing move by introducing new "episodes/updates", which added new features so that their customers could continue to constantly get more out of the game. Soon, Pocket God was being updated on a regular basis of every 2 weeks or so. The game started to attract a lot of attention and climbed its way up to the top of the Top 100 Paid Apps List. It reached a large peak of popularity around May during the Dinosaur Island Trilogy Updates (Episodes 15, 16, & 17). And during the summer season, it remained in the Top 10 for an extensive period of time. It was official: Pocket God was a huge hit! 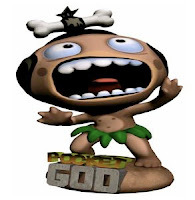 So what is it about Pocket God that's making all of these regular fans complain? Shouldn't they just shut up and be grateful?...Well if you think about it, there's actually some pretty good reasons. 1. Although Bolt Creative probably receives hundreds to thousands of fan suggestions a day (whether through email, iTunes, etc. ), there is a very large amount of them that are the same. Fans clearly want some of the missing basics, like clothing, genders, hut-structures or some type of house/home for the pygmy characters, etc. These requests have been made for a LONG TIME yet the duo continues to more or less do their own thing, which is good, just not necessarily what people are looking forward to seeing in the game. Not only are some fans just fed up with the fact that they aren't being listened to at all, some believe the app is actually now OVER crowded. This statement also has some validity to it, not only does Pocket God seem to take longer and longer to start-up with each update, the drop-down menu in the game is becoming pretty full and there is just too much to keep up with that simply results in slow-loading times, and other irritating results. 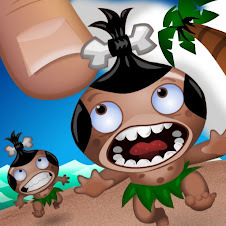 And most importantly, a lot of people just don't feel like Pocket God is as fun as it used to be. For reasons hard to perfectly explain, some feel that the app has just lost its touch, and without regular-sim-type-life features such as clothes and homes, the game can get boring once you've had it for awhile because it doesn't seem as fun anymore to even attempt to make your pygmies tell a story or explore new combinations of deaths and gifts. Even with new episodes/updates (which has slowed down a lot to releases on a 3-4 week basis), after the new feature is played just once, the game goes back to being its regular old-self. Continuing to play the game just to achieve better scores in the mini-games isn't the same and isn't as fun because it's not really a unique experience each time. Most would agree that if Pocket God lacks anything right now, it's the fact that there is no unique experience. Since the game is done feature by feature, the way you play doesn't generate random experiences. Instead it just repeats simple actions over and over as you switch to find one that is entertaining enough. ...Pocket God now has dropped to the spot of Number 21 on the Top 100 Paid List and Number 71 on the Top 100 Grossing List, as it seems to basically continue to drop on a regular basis except for when a new update is released. So the real question is...what's next? Could this all be the beginning of the end of Pocket God? Well according to the developers, they have "about ten ideas for standalone Pocket God games." And that if any of these sequels are actually developed, the original Pocket God would still continue to receive updates...just at an EVEN SLOWER rate. Despite this all, Bolt Creative is still currently working on the next update which will be the second part of the zombie trilogy episodes and will be titled "Good Will Haunting". 0 Responses to "Inside the Pocket God Phenomenon: Then, Now, & Soon"